If you’re an avid reader or want to instill a love of literacy in your children, new books can be mighty pricey. While most of us bibliophiles love the exciting allure of a well-organized bookstore, most of us do not love the price of a brand new hardcover! 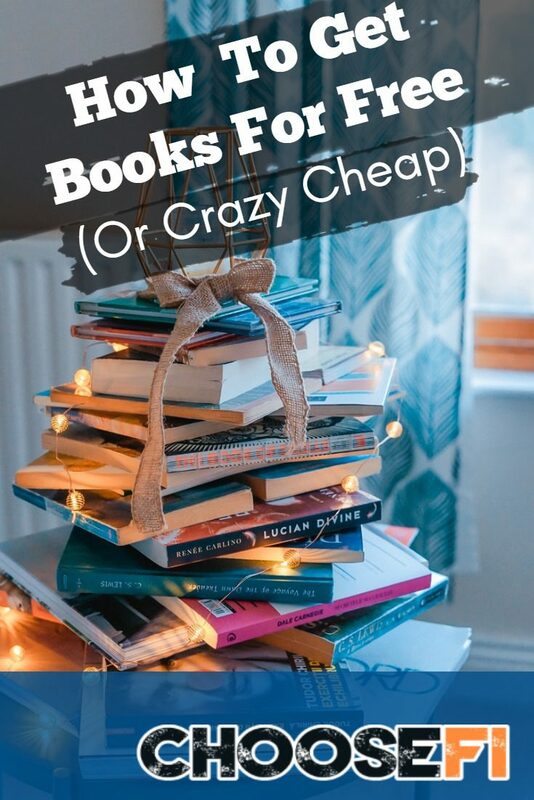 If this is you–read on to see how you can get books for free, or crazy cheap! This one is obvious–but if you’re feeling a bit frustrated that your local library doesn’t have the titles you want to read, there are other ways to get what you want without paying. If a book isn’t available, many branches offer an inter-library loan system in a partnership with local universities. You’ll have access to textbooks, best sellers and some obscure research journals to your heart’s content. Another hack is to see if your library has contracts with digital book sharing services like Hoopla and Rakuten OverDrive. 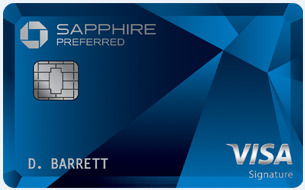 Both services can be free with a valid library card and can open you up to a wider range of titles. Of course, just like your library–digital books can be limited, especially if they’re popular, and you may have to wait. Some libraries also have small stores, where they are selling books they are no longer lending for whatever reason. You can pick up books here for crazy cheap, such as $1. While Amazon made a name for itself in bookselling, it also has a small digital lending library where Prime members Full Disclosure: We earn a commission if you click this link and make a purchase, at no additional cost to you. can get books completely free. Via the Kindle Owners' Lending Library Full Disclosure: We earn a commission if you click this link and make a purchase, at no additional cost to you. , you check out one e-book per month and read that book on your Kindle or Fire tablet. Additionally, they offer Kindle Unlimited Full Disclosure: We earn a commission if you click this link and make a purchase, at no additional cost to you. for $9.99 a month–but it luckily comes with a 30-day free trial first! Kindle Unlimited gives you access to 1 million titles, gobs of audiobooks, and a plethora of current magazines that you can enjoy on any device with the Kindle app. eBooks by Rakuten kobo Full Disclosure: We earn a commission if you click this link and make a purchase, at no additional cost to you. is one of the world’s fastest-growing eReading services, offering more than 5 million eBooks and Audiobooks to millions of users across the world. If you're a new user, you can get $10 off your first purchase Full Disclosure: We earn a commission if you click this link and make a purchase, at no additional cost to you. , including new releases and bestsellers. If you have books you’d like to get rid of, BookMooch is a book swapping service that allows you to send out books and get others on your list as well via credits. For those of us who would rather swap in person, coordinate a book swap as a frugal event and all books that aren’t taken home can be donated. Of course, you can also just ask someone you know if they have some books you’re after as well! Okay–shameless plug here: Choose FI’ers are naturally well read and also fun in person–coordinate a meetup! 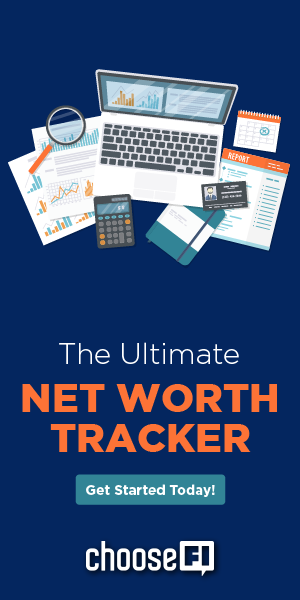 Being anxious to read The Simple Path To Wealth Full Disclosure: We earn a commission if you click this link and make a purchase, at no additional cost to you. and not wanting to wait, I was thrilled when a local FI’er brought a copy to our local Choose FI meetup along with some other excellent books to lend out. Meeting people and swapping books is a great way to get books for free, plus you might get some excellently curated recommendations in the process! Join a ChooseFI local group here. Amazon Full Disclosure: We earn a commission if you click this link and make a purchase, at no additional cost to you. , luckily, isn’t the only place to unload your used books so you have the cash to buy more! BookScouter allows you to scour the internet in one place and compare prices to unload your old books, or price compare to shop for a good deal. So whether you’re buying or selling, BookScouter is the CamelCamelCamel of books. If you have a college student in your life, have them check out BookScouter, as it’s exceptionally good for textbooks instead of unloading them on campus at the bookstore for the rock bottom price. You’ve heard of Dolly Parton, right? She started a foundation, the Imagination Library, to give free books to kids throughout the world. If your child is under five years old and your community is participating, you can enroll in your local program. They will send you a brand new, age-appropriate book every month. If your community isn’t participating or your child is over age five, see what you can find in local parenting Meetup or Facebook groups, or with friends and family whose children may be aging out of certain books. A little digging goes a long way! Unfortunately, if you aren’t able to borrow books by other means, you likely will be leaving your frugal literacy games to chance. If you’re more of a reader for pleasure than a genre-specific bookworm with a must-read agenda, you can benefit from the various places you can snag books for free in bulk. Local “Buy Nothing” groups on Facebook and sites like Freecycle and Craigslist are a great way to find free paperbacks and hardcover books from people who are ready to unload them for free or a few cents per book. A new trend has also been popping up–Little Free Library, which are tiny wooden libraries that usually look like oversized birdhouses and are placed in public parks or installed on street corners. The idea here is that you can leave a book to lend or borrow a book from the library, but return it when you’re done. If you’re looking for alternatives to Amazon to purchase cheap books, you can check out BetterWorldBooks, which donates both books and funds to literacy initiatives worldwide. You also may find some real gems of used bookstores within driving distance of your home as well! How do you read for free (or crazy cheap)? PrevPreviousShould You Pay Off Your Mortgage Or Invest? Also, I didn’t realize ChooseFI communities existed across the globe. I’ll be looking into the Oklahoma City option soon. My library gives me receipts that show the totals, too. However, the totals are skewed. I would never buy multiple full price books a week, nor would I purchase DVDs that I could rent at Redbox for les than $2. You mentioned that the Kindle Unlimited plan provides many audiobooks for $9.99 a month. Do you happen to know how broad their selection of books is or where one can view the selection? I could not find anything online. This could be a great hack over using Audible, which is expensive. Thank you. Some groceries stores have mini book libraries where you can give a book/take a book.